Perhaps, even if just for his culture, Khaled Hosseini is rivaling a list of authors I would like to meet in real life. Born in Kabul, Afghanistan, Hosseini moved to the U.S. in 1980. He has worked with the United Nations Refugee Agency and started the Khaled Hosseini Foundation which provides humanitarian assistance to people in his home country. Internationally renowned, he has published his work in more than 50 territories. What a guy. 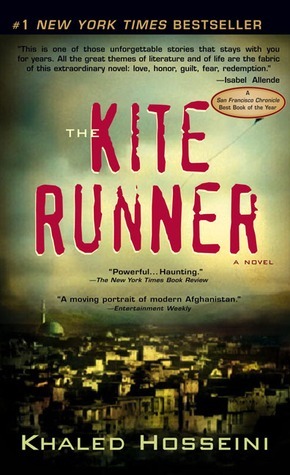 Repeatedly, many critics describe The Kite Runner as powerful and astonishing. Moving and unforgettable. Narrated by young Amir, the author depicts a life affected not only by the political changes of monarchy, revolution and Russian invasion, but also by the fiercely real acts of violence, cruelty and redeeming love. Ya’ll have got to pick this one up with me.